You are currently browsing the tag archive for the ‘Pine Hill Preserve’ tag. El Dorado Arts Council, located in Placerville, is currently seeking artists for a gallery exhibition entitled Native Roots, which will open Friday, March 16, 2018, and run through Sunday, May 20, 2018. 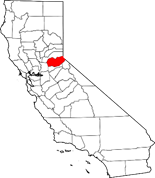 El Dorado County is located in the Sierra foothills, between South Lake Tahoe and Sacramento. The exhibition will feature botanical artworks representing plants that are native to El Dorado County, with a special focus on the rare and federally listed plants in the Pine Hill Ecological Preserve. A full color catalogue will also be created depicting all artworks in the show. The only requirement for artwork is that the plant(s) depicted must be native to El Dorado County, and preferably be a rare species or variety found within the Pine Hill Preserve. Pine Hill Preserve’s rare plants are a collection of eight species, three of which are endemic to the Pine Hill region and found nowhere else in the world. Another two species are nearly endemic, with only a few small colonies of the plants found elsewhere. Pine Hill Preserve and the El Dorado chapter of the California Native Plant Society are enthusiastic about this project and have committed to partnering with us. Both organizations would be able to help guide the artists towards images and names of plants within the preserve, or the county as a whole. On or before this date, email Caitlin Thompson at caitlin@eldoradoartscouncil.org, with “Native Roots Artist” in the subject line. Include your name (first and last), phone number, the best method to contact you, and the number of artworks you anticipate entering. If possible also include the sizes of the pieces. High resolution digital images of your artwork must be provided to the El Dorado Arts Council to be included in the catalogue. Not all pieces are guaranteed to be accepted. If you have questions or concerns regarding getting your artwork to the gallery do not hesitate to send an e-mail. At the end of the exhibition, individual arrangements will be made for artwork pickup. If you wish to be part of Native Roots or have any questions, contact Caitlin Thompson at caitlin@eldoradoartscouncil.org or call (530) 295-3496.